Then there is my writing persona. My short story came back last week with a kind but brief rejection: “We appreciate the chance to read it. Unfortunately, the piece is not for us. ” I ignored the tiny voice in my head that said, they seem nice, so reply back and see if they know who it IS for. That would be helpful. Instead I did what I’m supposed to do: submit again to a new journal and not be disgruntled. I’m trying, but so far my publishing career score would be a 0%. A friend told me I should print my homework assignments out and put them on the fridge, just like I would do with my daughter’s good grades. I haven’t gone that far yet, but I am wearing my little virtual gold star around proudly. 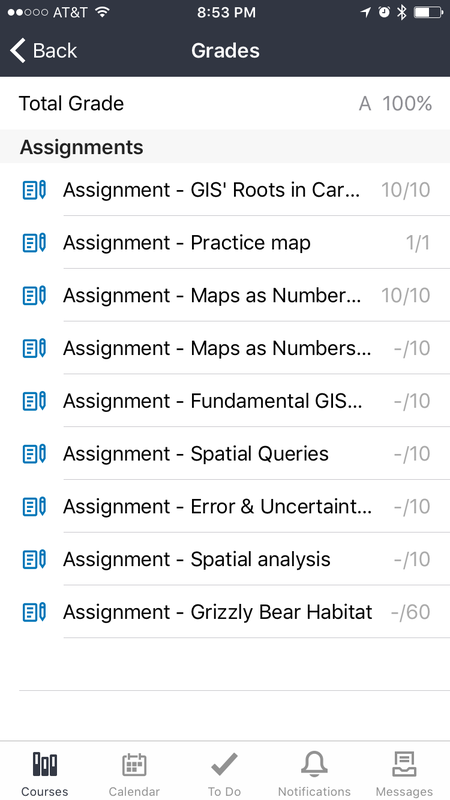 Only six assignments left. Gotta go finish my reading, so I don’t break my perfect streak. 100%, just in case you missed it. I just emailed you a copy. You can either print it out or magnet it to your virtual fridge. Love you! Congrats on the perfect score! Yay! Put that up on your fridge! I’m sorry about the rejection. Keep at it, I know it will happen for you.